Description: The Cornicabra variety is usually used in olive oil production but in the typical regions of cultivation it is also very popular as a table olive. 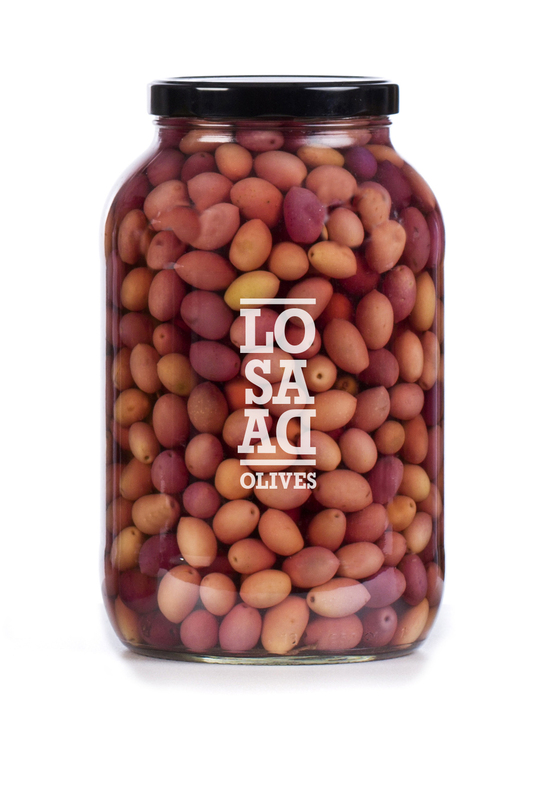 This olive is half way through the maturation process producing a beautiful color range from pale pink to dark purple. The cornicabra is oval-shaped with a small horn on one side, which gives the name to this variety: Corni-cabra meaning " the goat's horn ". Serving Recommendations: Serve the olives with a dash of O-Med extra virgin olive oil. The unique shape and color of the olive makes it perfect to include in your own customized olive mix.